The end of the world is close at hand. I know it has to be true. I saw it on TV! There are also websites all over the internet dedicated to providing us with specific information about our inevitable demise. Will it be today, tomorrow, next week or next year? Well, that depends on who you talk to, where they derived their information and how they calculated the precise date and time we will all be goners. End of the world predictions flood the media. End of the world prophecies are not new. They have been around for hundreds, no thousands of years. The power and sway these prophecies held over the people during each of these time periods must have been intense. The prophets predicting the upcoming gloom and doom must have been extremely popular. A superstar in their day and age. Had they not swayed the thinking of the local population, their beliefs, their proposed words of wisdom, would not have come down to us today as part of the historical record. The vast majority of these predictions come from religious traditions, primarily Christianity. The other significant contributors to the end of the world drama are astrologers. They see gloom and doom and our inevitable demise in the stars. Fortunately for us, none of their predictions have come to pass. In the same breath, like the superstitious people of old, we are still, for some reason, waiting for the big one to come. 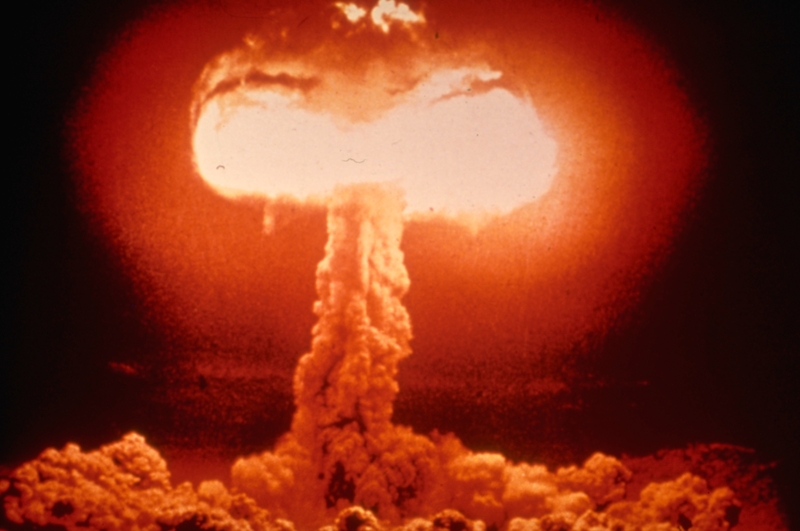 The earliest record discovered of a doomsday prophecy comes from 2,800BC. Written on a stone table, that was found in Assyria, are the words “Our earth is degenerate in these latter days. There are signs that the world is speedily coming to an end. Bribery and corruption are common.” Interestingly, it sounds remarkably similar to the description given by the Hindus of the Kali Yuga. As the writer predicted, the world, well the Assyrian world did come to an unfortunate end. The rest of us, not so much. The Romans too were affected by apocalyptic thinking. Early in Rome’s history, a myth circulated that the city of Rome would be destroyed 120 years after its founding. According to the myth, twelve eagles revealed to Romulus the lifetime of the city of Rome. It was believed that each eagle represented ten years. Thus 12 times 10 gave Rome a 120-year life expectancy. The expected date was sometime in 634BC. I’m sure proponents of this theory would be shocked to learn that not only did the city of Rome survive, but the entire Roman Empire lasted for another 1000 years. It was also believed that the last judgment, thus the end of the world, would occur 1000 years after the birth of Christ. This would make it 1000AD. History reports that during that final year, fields were left unattended, and crops were not grown. Why bother working if the world is going to end. Who would need the food if we are all going to die? Needless to say, that was a bust. What makes this prophecy so fascinating is that after “judgment day” came and went scholars were pressed into figuring out what happened or should I say why it didn’t happen. 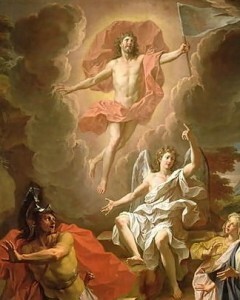 New theories emerged which stated that the real judgment day was 1000 years after Jesus’ death, not birth. I guess they were a little embarrassed when that didn’t come to pass either. In June of 1523, English astrologers predicted that the world would experience another deluge which would annihilate mankind. This was to occur in June of 1524. The reports of the upcoming disaster caused 20,000 people in England to leave their homes. One organization, the Prior of St. Bartholomew‘s, build a fortress and stocked it with two months worth of food. When the expected day came, only clear skies could be seen. The astrologers recalculated their date and discovered they were 100 years off. Their calculations, needless to say, again proved wrong. We are still alive, and dry, today. At around the same time, a German astrologer, Johannes Stoeffler claimed that a conjunction of Mercury, Venus, Mars, Jupiter, and Saturn would cause a giant flood to happen in February of 1524. In Germany, people built boats to save themselves from the impending doom. One man, Count von Iggleheim, a big proponent of Stoeffler, build a three-story ark. On the forecasted day, a slight rain began to fall. This caused people to go into a widespread panic. Hundreds of people, including the Count died. Stoeffler, having survived the angry mob also recalculated the date and found that the conjunction wasn’t to occur until sometime in 1528. Thankfully, the people of Germany had learned their lesson and took little heed of his warning. In 1736, England was again marked for another flood/deluge event. Proposed by William Whiston, on the date in question, the Thames River was filled with boats. Again, no rain, not even a sprinkle. William Miller, the founder of the Millerites, after spending 15 years studying the Bible determined the world would conclude sometime in 1843. A meteor show during this pre-apocalyptic period only proved to his followers that their days were numbered and the end was near. The first date proposed by Miller came and went. He then proposed another, then another, then another. The last date he identified was October 22, 1844. When that day slipped into history undaunted, the Millerites finally relaxed. Surprising, Miller, even after all of his failed prophecies, was still revered at his death some five years later. Claims have been made by individuals who have measured the inside of the Great Pyramid of Giza. The first date given was 1881. Obviously, nothing happened. New measurements were taken, and a revised date of 1936 was proclaimed. Again, nothing. Measurements taken by another group offered up the date of 1953. Still, nothing. How or why people associated the length of passageways in the Great Pyramid as an indication of our ultimate demise, the world may never know. 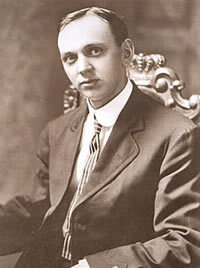 The sleeping prophet, Edgar Cayce also predicted Armageddon. According to Cayce in 2001 or 2002, the earth would shift on its axis. New York, Los Angeles, and San Francisco would be destroyed by earthquakes. England and Japan would both sink into the ocean. Also during this cataclysmic event, Atlantis would rise from the ocean floor. A Father Alexander McKenna, in a conversation with the Virgin Mary, was given a dire prediction. The Virgin Mary told Farther Alexander that unless people gave up sin, war, and hatred that most of the world’s population would be destroyed by nuclear and environmental disasters before the end of 1999. Equally bizarre, Nancy Leider claimed that, through conversations with the space aliens from the planet Zetas, a comet that passes near the Earth once every 3657 years would be returning in 2003. As it passes the Earth, it would create devastating problems. The Zetans identified late spring or early summer for the calamities to begin. According to her otherworldly contacts, a number of dramatic things would happen. They include a pole shift, the stopping of the earth’s rotation for three days, gigantic tidal waves, lightning storms and rains of fire (caused by petrochemicals that were stored in the atmosphere). I don’t know where the Zetan’s got their information, but I am glad they were wrong about the end of the world that day. Y2K was another popular potential doomsday. Proponents predicted everything from airplane crashes, large data losses which would cause the demise of the global economy, huge computer system failures, blackouts, and even a nuclear holocaust. During that time, gun sales rose, and people stocked up on food in anticipation of the catastrophe. Midnight came… and not even a single computer glitch. Harold Camping, an American Christian radio broadcaster, author, and evangelist, also predicted the end of the world. He set a date for May 21, 2011. Camping created a mathematical system to analyze the hidden prophecies in the bible. According to Camping, “The Lord has opened up His people’s understanding to the “Biblical calendar” found on the pages of the Bible. The genealogies of the book of Genesis, primarily in chapters 5 and 11, can be shown to be a precise calendar of the history of mankind in this world. The Bible’s calendar of history is completely accurate and trustworthy. Since this Bible calendar is given by God in His Word, it can be trusted wholeheartedly.” Surprisingly, this is not the first date provided by Camping. He originally predicted that the world would end on September 6, 1994. Luckily for us, May 21st came and went. Other than all of us getting a good laugh out of it, I guess he was wrong… again. My question is, what happens to the failed prophets? In some cases, like Camping, do they just come back with another date and hope they are picked the correct one?. I’m sorry, but something just doesn’t seem right in that logic. In ancient Judaic law, a claimed prophet whose predictions did not come to pass were stoned. I guess they didn’t take lightly to false prophets. Perhaps we should do the same to modern ones as well. Hey, it is just a thought. Tagged apocalypse, Dr. Rita Lousie, end of the world, mayan calendar, prediction, predictions, prophecies, prophet, rita louise.